This new feature is a goodie for all you organization buffs out there. You know who you are. You’re the ones who like having a place for everything and everything in its place. Stitch-Maps.com now lets you curate collections. Think of a collection as a place to put stitch patterns, as an organizational cubby of sorts. When you create a collection, you get to decide which stitch patterns belong in that cubby, using any criteria you choose. 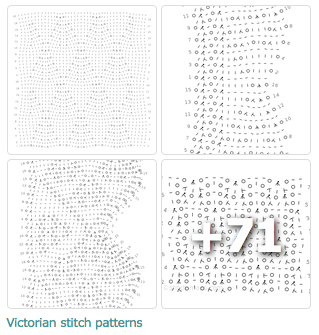 A collection of Victorian stitch patterns? Or short-rowed doilies? Or patterns you want to swatch someday? Sure, why not? Knock yourself out. You can put anyone’s stitch pattern into one of your collections. In contrast, you can’t tag other knitters’ patterns. So my Victorian collection contains patterns that weren’t tagged as being Victorian. You can provide a description for each of your collections, saying... well, whatever you want, really. But it might be nice to describe the common thread that runs through all the patterns in the collection. You can choose a visibility for each of your collections. Just as with stitch patterns, anyone can view your public collections; only you can view your private collections; and other knitters can view one of your hidden collections only when you give them the collection’s direct link. 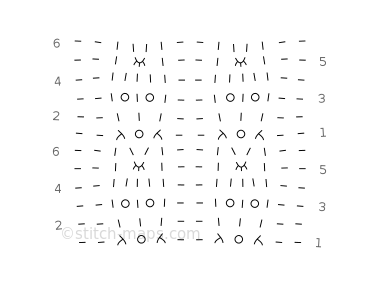 To gather together related stitch patterns, for your own use or to share others, if you really do have that organizational bug. To gather together hidden stitch patterns that others have shared with you. This way, you can easily search through them on the collection’s main page. For premium subscribers: To gather together hidden stitch patterns you want to share as a cohesive set – for example, all the stitch patterns in one of your project patterns, or all the stitch patterns that you reference in a class that you teach. Check out the navigation bar at the top of each page. Where it used to have a Browse link, it now has a Browse menu with two options: Stitch patterns and Collections. 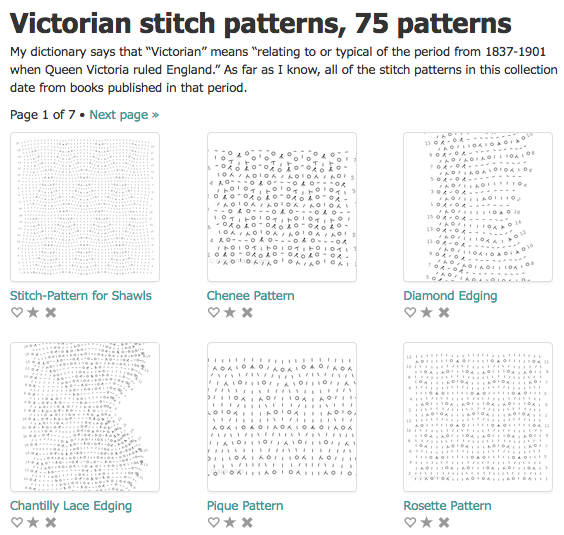 Select the latter, and you’ll have the option of browsing through all the public collections on the site, with search options similar to those on the page for browsing through stitch patterns. Each collection will be displayed as a quartet of thumbnails, with a number showing how many more aren’t on display in that quartet. Click on the quartet (or the collection name below the quartet), and you’ll see the collection’s main page, complete with the collection’s description and with options for searching through the collection’s stitch patterns. Find this icon next to the name of a pattern. Click on it, and up pops a modal dialog. In the dialog, choose the name of the existing collection to which you want to add the pattern, or enter the name of a new collection. 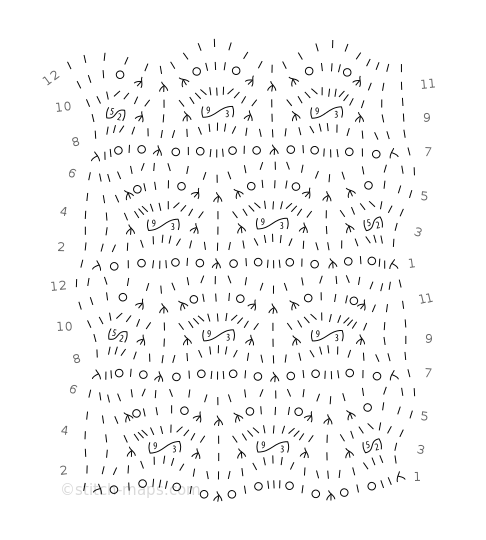 Find this icon next to the name of a stitch pattern, on a collection’s main page. Note that clicking on the icon just removes the stitch pattern from the collection; it does not delete it from the site altogether. Find this icon on a collection's main page. Click on it, and you’ll be directed to a page where you can edit the collection’s description, tags, and visibility. 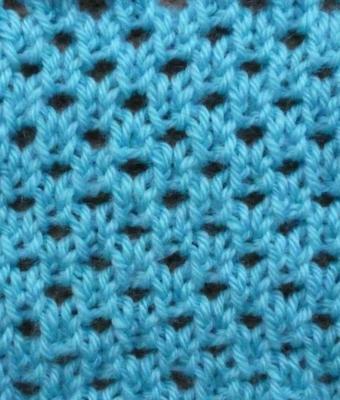 Premium subscribers can also specify custom links, as for stitch patterns. Find this icon on a collection's main page. Note that clicking on it just deletes the collection, not the stitch patterns in the collection. Only subscribers get to curate collections. Not a subscriber yet? Now’s your chance to sign up. Basic subscribers can mark their collections as public or private. Premium subscribers can mark their collections as public, private, or hidden. In other words, your visibility options are the same for collections and for stitch patterns. 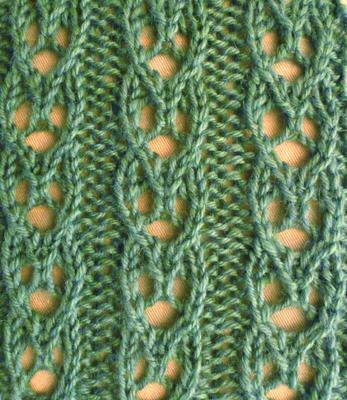 You can’t increase a stitch pattern’s visibility by putting it into a collection. For example, if you put a bunch of your private patterns into a public collection, that collection will appear empty to other knitters. Ditto if you put someone else’s hidden stitch pattern into your collection. But placing your hidden patterns into a hidden collection lets you share those hidden patterns with other knitters simply by handing out the collection’s link, rather than having to hand out the links for the individual patterns. Questions? Comments? You know where to find me. Complete definitions for all these symbols can of course be found in the key. Bunny ears dec shows that three stitches become two that lean away from each other. Bunny ears back dec shows that three stitches become two that lean towards each other. The key, of course, details how to work these decreases. Enjoy! Here’s a sweet little improvement to the affiliate program that debuted last August: you can now shorten the affiliate links you create. Simply click the “Shorten” button, and a long link like https://stitch-maps.com/about/abbreviations/?aid=jcbriar&atag=news becomes a short link like https://stitch-maps.com/to/Wrp/. Both lead to the same page, of course. (Go ahead, try them!) It’s just that the shorter one is, well, shorter. For either link, clicking the “Test” button opens the link in a new browser tab. Clicking the “Select and copy to clipboard” button selects the text of the link and – if your browser is willing – copies that text to your system’s clipboard. (If your browser isn’t willing, you can always copy it to the clipboard yourself.) You can then paste the link into your patterns, or social media posts, or whatever. Why create short links? You can probably think of reasons of your own. But for me, it’s because I’ve been toying with QR codes lately. Imagine, for example, printed class handouts with QR codes that students can scan to get to specific pages at Stitch-Maps.com. And the way to get smaller, more reliable QR codes is to start with shorter links. Sure, it’d be possible to shorten links at bit.ly or goo.gl, but I don’t care for their privacy policies. At Stitch-Maps.com, you can rest assured that your short links will remain private. Questions? Suggestions? Let me know! The “any” option is the default, and works as before – for example, searching for “Estonian,” “Orenburg,” and “German” will return stitch patterns with any of those tags. The “all” option is new, and lets you search for stitch patterns with all of the specified tags – for example, searching for “Barbara Walker” and “twisted stitches” will return stitch patterns from Barbara Walker’s Treasuries that feature twisted stitches. Or say you wanted to ensure that all the edging patterns you’d entered had been tagged with “edging.” You could use the “none” option with the “my public patterns” checkbox to see which of your patterns lacked that tag. Questions? Comments? As usual, you can give me a holler.